Staurosporine-Red is a derivative of Staurosporine, and has been validated as a fluorescent tracer for HTRF Kinase Binding assays. ​This compound is derived from Staurosporine, which is a natural alkoid present in Streptomyces Staurosporeus. 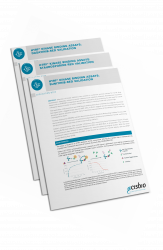 It is a prototypical ATP-competitive Kinase inhibitor, and has been shown to be highly promiscuous and therefore very useful to address multiple Kinases in the HTRF Kinase Binding assay platform. The ‘d2’ fluorescent dye used absorbs with its maximum near 650 nm and fluoresces near 670 nm. It is an acceptor molecule implemented in HTRF assays. The binding of Staurosporine-Red is detected in a sandwich assay format using the Anti Tag labeled with Europium Cryptate (donor) which binds to the tagged Kinase, and a red fluorescent tracer labelled with d2 (acceptor). 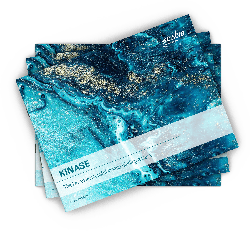 To know whether Staurosporine-Red is the tracer best suited to your tagged kinase of interest, we advise you to first try the Kinase Binding Discovery kits. Saturation binding experiments of Staurosporine-Red can be run in 96- or 384-well plates (20 µL final volume). 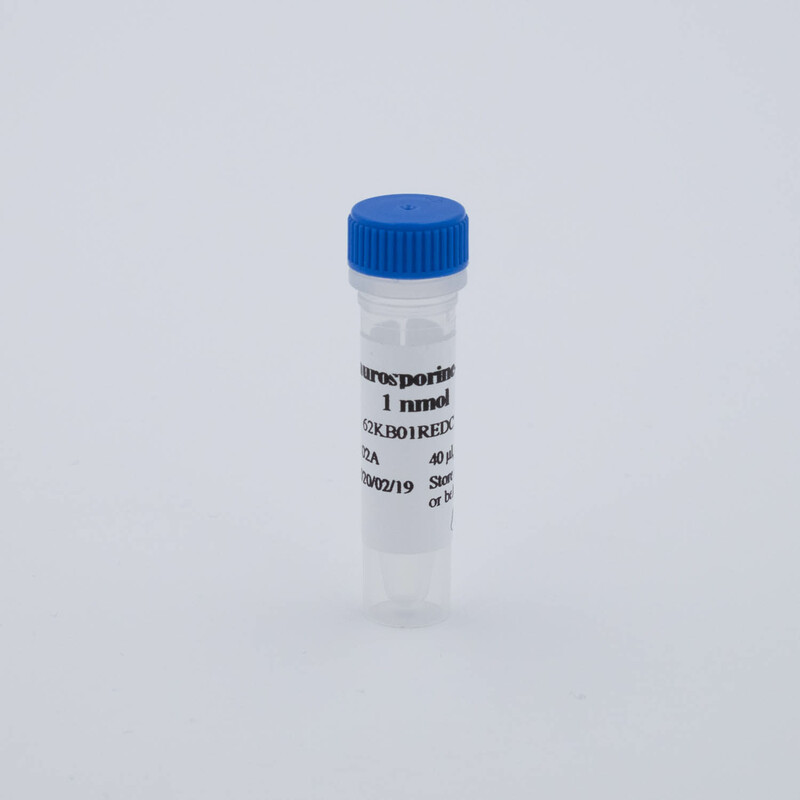 First, a dilution series ranging between 0 and 1 µM of Staurosporine-Red in the Kinase Binding Buffer is prepared in a 96- well non-binding plate. Next, 5 µL of Kinase Binding Buffer are dispensed into the final 96- or 384-well plate. Then 5 µL of tagged-Kinase are added, followed by 5 µL of Anti-tag Eu-cryptate. Finally, 5 µL of the red tracer solution are added. The binding of Staurosporine-Red is detected in a sandwich assay format using a specific Anti-GST, 6HIS antibody or Streptavidin labeled with Europium Cryptate (donor), which binds to the tagged Kinase, and a red fluorescent Staurosporine labelled with d2 (acceptor). The detection principle is based on HTRF® technology. The HTRF ratio (665/620) will increase with the addition of more Staurosporine-Red, and will saturate depending on the dissociation constant (Kd ) of Staurosporine-Red to the tagged kinase. When an inhibitor of the kinase is added, Staurosporine-Red will be displaced and the HTRF signal will disappear, depending on the dose. ​Pharmacological evaluations of inhibitors of interest can be run in 96- or 384-well plates. First a dilution series of the inhibitor ranging between 40 µM and 0.23 nM is prepared, and 5 µL of each concentration are dispensed into the plate. Then 5 µL of tagged-Kinase are added, followed by 5 µL of anti-tag Eu-cryptate. Finally, 5 µL of Staurosporine-Red solution are added, prepared at 4x the final concentration. The HTRF ratio is measured after 1H of incubation. Before perfoming competitive binding studies of inhibitors, the dissociation constant ​(Kd) of Staurosporine-Red has to be determined on the tagged Kinase of interest. This can be done with the help of the Kinase-GST/6HIS/biotin discovery kits,. A typical saturation binding experiment is performed using tracer concentrations between 0 and 250 nM, and measuring the total- and non-specific binding signals. Subtracting the non-specific from the total binding signal gives the specific signal, which can be analysed to give the Kd. Here an example is shown on the determination of the Kd (43 nM) of Staurosporine-Red on 5 nM SRC-GST. ​​Dose response curves of various known kinase inhibitors (Staurosporine, Dasatinib, PP2, Imatinib, Tozasertib, Sunitinib, Gefitinib, and Sorafenib) were measured using Staurosporine-Red at its Kd (29 nM) on 5 nM FGFR1-GST. Staurosporine has an inhibition constant of 13 nM, in correlation with the literature value of 9.1 nM, while Imatinib and Gefinitib do not compete, as can be expected for FGFR1.